LEWISVILLE, Texas (March 31, 2014) – Chicago is famous for its skyline, innovative architecture and many prominent buildings. Some believe Chicago is the first truly American city because architecture along the east coast was strongly influenced by the original European settlers as opposed to people born in America. 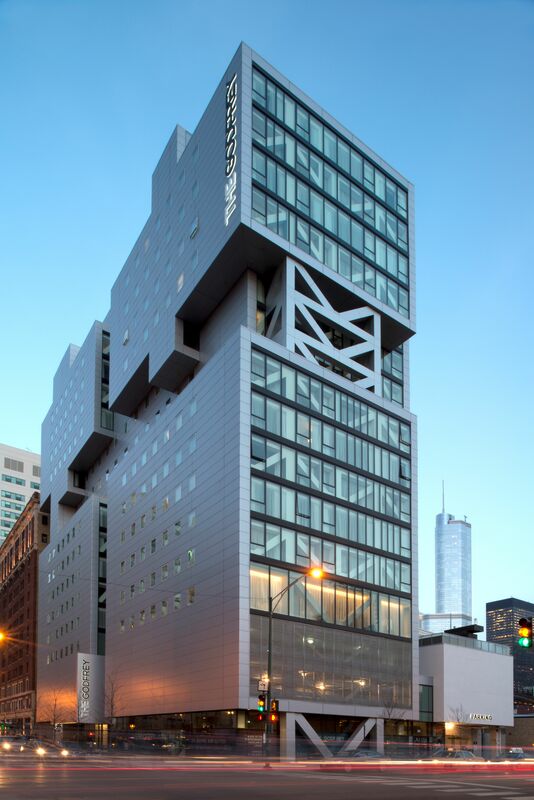 Metl-Span assisted the architects and builders of the Godfrey Hotel Chicago create a welcoming architectural facility. 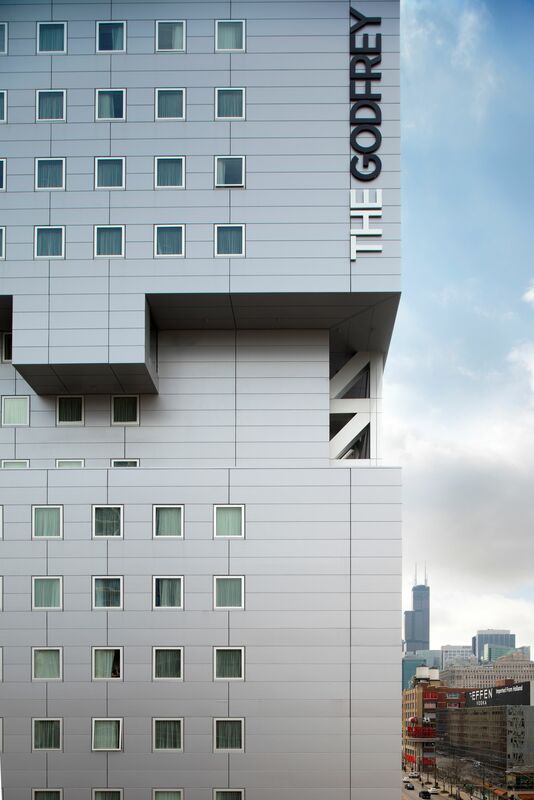 The Godfrey Hotel is one of the city’s newest luxury boutique hotels, located in the downtown River North Neighborhood. Its attractiveness is revealed architecturally on the outside as well as in its 221 abundantly sized guest rooms and suites. Metl-Span’s CFA panels allowed for the installation of weather barrier, insulation and vapor barrier with one product. Metl-Span provided 60,000 square feet of 2-inch thick, 30-inch wide, 22-gauge/26-gauge CFA Architectural Wall Panels in embossed Silver. The Metl-Span panels were installed over stud framing, attached with concealed fasteners in the side joint. 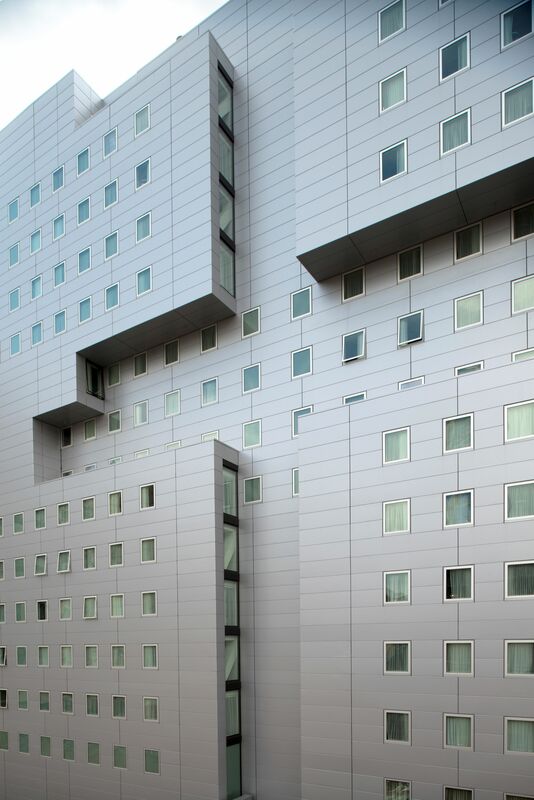 “Most recently, we have specified insulated metal panels for office buildings, a student housing tower, on this hotel and a mixed-use project that includes retail, office and K-12 school,” Volkman says. All-American Exterior Solutions of Lake Zurich, Ill., installed the panels and kept the project running smoothly, with help from Metl-Span.